Team president says franchise player agreed that the move would have long-term benefits for him and the Knicks. General manager Scott Perry said Tuesday that the decision was not dictated by keeping salary-cap space clear for next summer -- that that was a byproduct of the decision. But Mills said they have a plan and that Porzingis understands. “We believe it was the smart move,” Mills said. 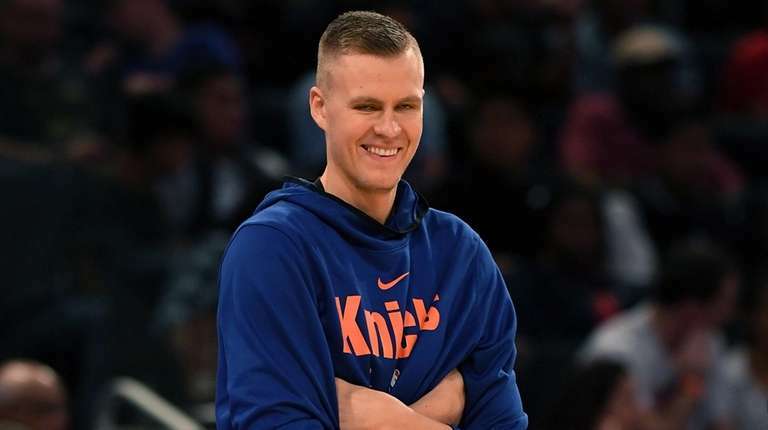 “But primarily because over the summer, Scott and I sat down with KP’s brother and talked about the different options that we have in front of us as it related to his extension. We were clear that the best option to make the Knicks a better team long term and have a better group of guys that KP can grow with long term was to not do the extension at this point. Notes & quotes: In addition to Porzingis, the Knicks were without Courtney Lee in Wednesday night's season opener. Despite being on the active roster, Fizdale said he didn’t think it was fair to throw Lee into the fire after he missed all five preseason games with a sprained neck and returned to practice only Sunday.